Sell your car fast and pay nothing! No matter your budget or support needs, SharpCar.com will help you save your hard-earned cash and make it easy to list your ride online. SharpCar.com has the most affordable and effective FSBO selling packages available, anywhere. More sellers are choosing SharpCar.com because of great prices and superb customer service. Founded by the most trusted name in by-owner products, the people behind SharpCar.com have been helping people market their cars since 1949. 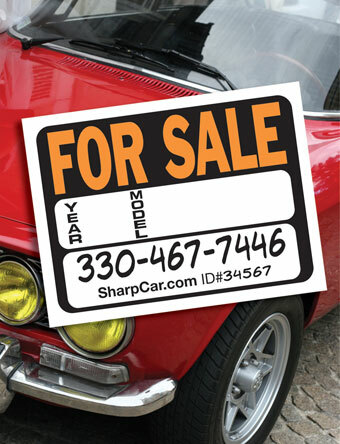 Whether it’s your first time selling or your fourth, you can rely on SharpCar.com to make it a worry- and hassle-free experience! SharpCar.com distributes its car for sale ads to its huge list of partners including Google, Craigslist, Lycos, Oodle and many more! Reaching thousands of potential buyers online will enable you to sell your car quickly, at a price you can afford.